Most of my catchups with brands happen entirely by accident, and my recent catch up with Pedro Catalá from Twelve Beauty was no exception. He was vacationing in Australia with his partner, and I happened to catch up with him for brunch without any prior planning. Apart from being super friendly and charming, Pedro turned out to be the most knowledgeable green beauty insider I’d ever met. This is not surprising considering he has degrees and PhDs in botany, pharmacy and natural cosmetology. He also teaches cosmetic formulation at an Italian university, so he definitely knows what he’s talking about! We had a lengthy discussion about green beauty and ingredients (followed by a brief beauty shopping expedition). Pedro’s scientific and results-driven approach to green beauty was refreshing, and his products occupy a unique niche that combine green ingredients with cutting-edge technology. During our catch up, Pedro had given me three of his products to try, and I’ve been using them regularly for the last couple of months. Coincidentally, the most recent Boxwalla box contained two products from Twelve Beauty (including the Ideal Brightening Corrective Serum, which I already had a bottle of), so this is a combined review of the latest Boxwalla beauty box and the products Pedro had given me to try. When I caught up with Pedro, he had a good look at my skin and told me the only products I needed were his brightening serum and Intelligent Frontier Facial Oil. When an expert like Pedro gives you his recommendation, you listen! I’ve been using both these products consitently for the last two months, and my skin has been so well-behaved. I’ve had no breakouts during this period, and I do see an overall improvement in the tone and texture of my skin since I started this regimen. Ideal Corrective Brightening Serum is a light, lotion-like serum that is designed to fade dark spots, discolouration and acne scars. It feels cooling on the skin, and it has a mild herbal/minty scent that I enjoy. It hydrates and moisturises the skin as it brightens and repairs. Although I love using this product on its own (it leaves ZERO residue), I love mixing two or three drops of the Twelve Beauty facial oil into this serum (as recommended by Pedro) to supercharge it. Often, this is the only thing I use on my skin during the day, and it works just as well as my usual 6 to 8 step am routine! What is unique about this serum is that even though it is a powerhouse, it causes no irritation whatsoever. I personally think that it works better than Vitamin C serums (and it doesn’t cause sensitivity the way some Vitamin C serums do). I highly recommend this product if you are looking for a product that visibly brightens the skin! There are so many face oils on the market, but it’s so hard to find ones that really deliver. When I first tried this oil, I really liked its light texture, but I never thought it would become one of my favourite facial oils (in fact, I recently included in my list of top three facial oils when I was interviewed by Indian newspaper The Hindu). This unique blend of unsaponifiable oils with squalene gives it a velvet-like texture that instantly disappears into the skin. Some lighter oils can feel like they are not moisturising enough: Intelligent Frontier Oil, however, feels deeply hydrating/nurturing without feeling heavy/tacky on the skin. This clear oil has the mildest minty/herbal scent, and my favourite way to use it is by mixing it with other products. I find that the great thing about this product is that it normalises all skin types by healing the skin from within! I definitely notice a difference when I skip this oil for a few days. My skin isn’t as bright/soft/moisturised/glowing when I stop using this oil. The only negative about this product is that, at 180 pounds for 30 ml, it’s one of the most expensive face oils on the market (I had no idea about this when I first started using it, and I’ve been rationing it ever since I discovered this)! It is, however, one of the few instances where the quality of the product actually justifies its hefty price tag. I was expecting this to be feel like a regular lip oil, but it’s one of the best lip treatments I’ve ever tried. I recently proclaimed my love for this product on Instagram, and a number of others echoed my sentiment, proving that it is, indeed, one of the most exceptional lip treatments available today! What makes this roll-on lip treatment so unique is its thick, gloss-like texture. The formula combines hyaluronic acid with regenerating oils that nourish and repair chapped, dehydrated lips from within. The roller ball can make it difficult to get the product out, but that can be solved by storing the tube upside down. Ingredients: tocopheryl acetate, argania spinosa kernel oil, theobroma grandiflorum seed butter, helianthus annuus (sunflower) oil, ethylhexyl palmitate, lecithin, tocopherol, ascorbyl palmitate, trihydroxystearin, citric acid, sodium hyaluronate, amorphophallus konjac root powder. I got this cult product in the latest Boxwalla beauty box. Usually, only 50 units of these mask are produced monthly, but Boxwalla subscribers were lucky this month to have it custom made for them for a fraction of the price. The creamy millennial-pink mask is quite unlike anything else on the market because it doesn’t set like conventional clay masks. It contains emollient ingredients like rice starch and squalene to make sure the clay doesn’t dry out the skin. This makes it suitable for all skin types, including sensitive and dehydrated skin. I have oily, acne-prone skin, and I saw a visible difference in brightness as soon as I washed it off. I remember looking at the mirror the next day, and wondering what I’d done differently to wake up with such well-balanced-looking skin! Ingredients: Aqua, Dicaprylyl Carbonate, Oryza Sativa Starch, Kaolin, Zinc Oxide, Cetearyl Alcohol, Glycerin, Squalane, Panthenol, Glyceryl Stearate, Potassium Cetyl Phosphate, Glyceryl Laurate, Mallow Sylvestris Flower Extract, Allantoin, Helianthus Annuus Seed Oil, Tocopherol, Xanthan Gum, Benzyl Alcohol, Dehydroacetic Acid, Cocamidopropyl Betaine, Sodium Chloride, Parfum, Limonene, Linalool. 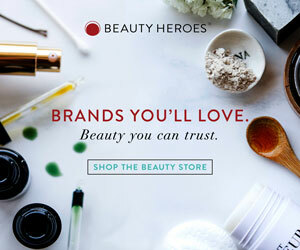 I really love Pedro’s unique approach to green beauty. He’s very thorough in his research, and his products deliver visible results. As I mentioned at the start of this review, all the products were gifted to me by Pedro and Boxwalla, but I will continue to repurchase them when I run out (and try other products like his cleanser, which I’ve been told is a must-try. PS: Pedro is fiercely against double cleansing, and he pointed his table knife at me when I told him I double cleanse at night)! The Twelve Beauty Boxwalla box is still available as a one-time purchase. Grab it now before it sells out! © 2018 JustAskArjun. All opinions/views are my own. I accept press samples for review consideration, however, all products are treated with the same level of scrutiny. The Boxwalla link is an affiliate link, and I earn a small commission if you subscribe using this link. Hi Arjun, where can you buy this in Australia as I’m only reading about it now and missed the boxwalla box. And over time have you noticed your lips becoming more full/plump? In the mornings is there residue still on the lips? My lips are SO cracked and peeling because I had to restart roaccutane (oratane) for resistant acne, so I’m looking for a deeply moisturising lip balm. How does this compare to the vapour beauty and earthwise beauty lip balms?